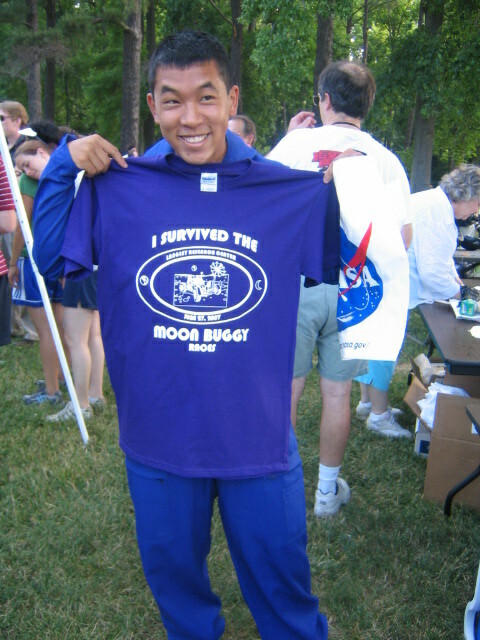 It wasn’t easy, but we kicked moonbuggy this morning. 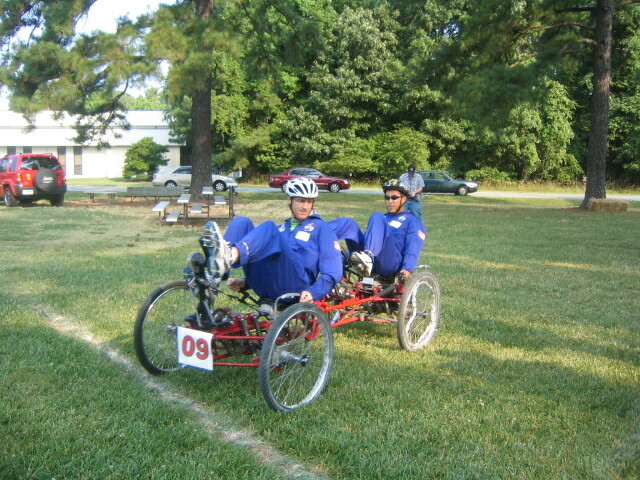 Granted, I actually didn’t actually drive or ride in the winning buggy. I was simply the coach, but I am extremely proud of both Chris and Brandon. Their dedication, hard work, and commitment to ‘energy drinks’ paid dividends today. As their coach, I want to celebrate them in pictures. We have the best fans on the planet. Brandon had his own subset of fans. Nice picture, but has he listened to his coach? We will see. It was very tense at the starting line. 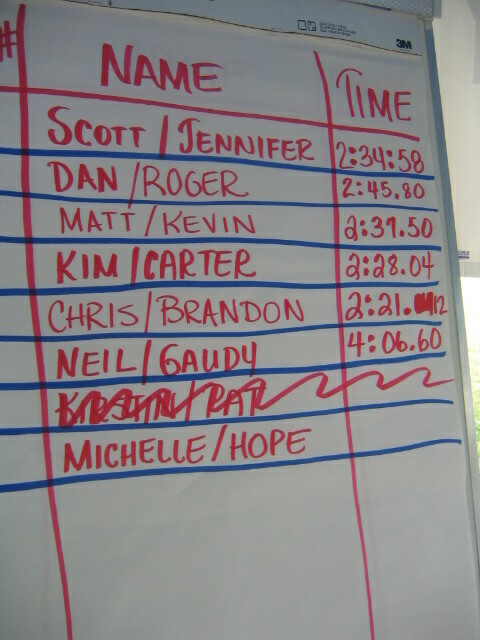 The time to beat… 2:28. Nano seconds after this pic, the NASA EDGE Team recorded the winning time. My son told me that our unofficial time was 2:21… turned out he was right. Brandon, you didn’t just survive. You rocked! And so did Chris. Good job guys. 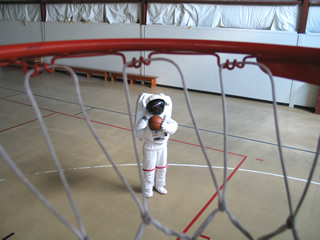 Next year, we tackle the moon buggy track at Marshall Space Flight Center. Kind of like coaching the college and the professional game. 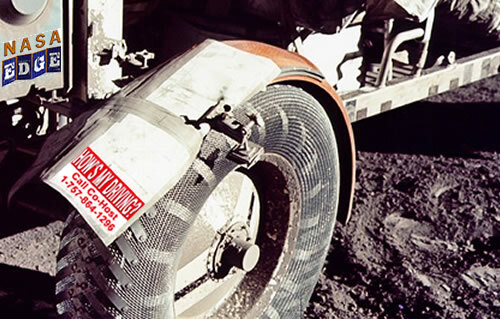 Maybe they’ll make us honorary moon buggy testers for our return to the Moon. Man, I love NASA. Very interesting! It seems that even the Buggy designers recognize NASA EDGE’s dominance in the upcoming competition. Seriously, it is good to finally see the race vehicle. Brandon is in the middle of intense training. We discovered yesterday that he is extremely allergic to all energy drinks. He was able to run a 40 yard dash in 3.9 seconds, but his calves ballooned up to the size of cantelopes. 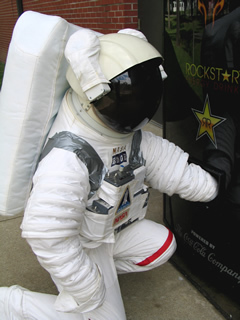 So, for the record, NASA EDGE does not endorse the use of energy drinks of any kind. We are water only from here on out. Today, Brandon has refused to run. Not a good sign for NASA EDGE, but a small window of opportunity for the competition. On a lighter note, we are considering a funraiser. 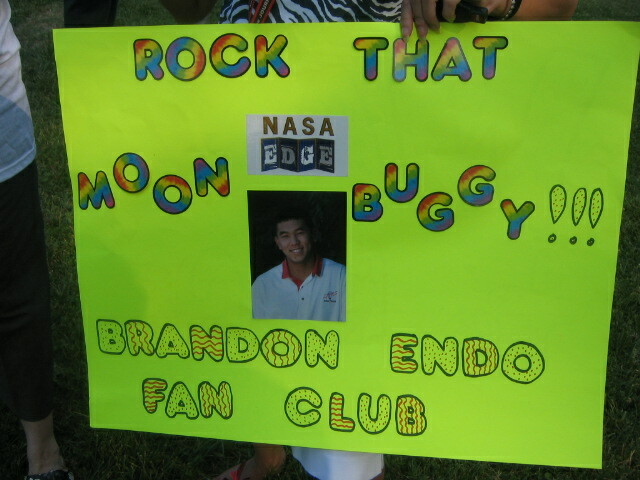 You can sponsor Brandon and the NASA EDGE Team by the meter. Anyone interested in supporting a good cause, call 757-864-1296. I’ve always had my suspicions that Chris was jeaolous of me and all that I am. I must say I never expected it to manifest in this way. It is clear. You need to be schooled in the Art of Blair. It is more than the hair. Oh, so much more. When you return, I will begin your training. I hope that you’re up to all that it takes to be THE Coolest, shortest, hottest, red-headed Host of NASA EDGE. 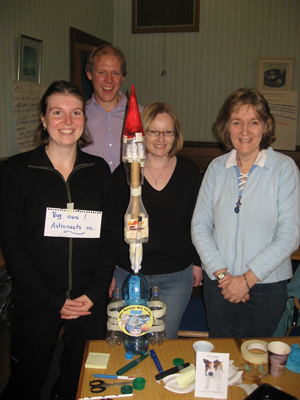 Teachers from Scotland complete their new exploration spacecraft design during the 21st Century Explorer Teacher Workshop at the University of StrathClyde in Glasgow. Note: Flat Gorby was honored as being the first Astrodog to fly the new vehicle. I got my first look at Brandon’s athleticism today. If he drives the Moonbuggy with the same gritty determinism he brings to all other physical exercises, then this should be no contest. 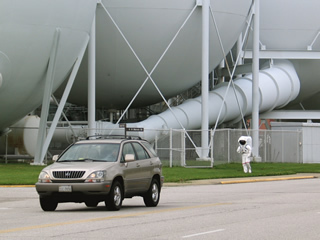 NASA Langley Security clocked Brandon at 12mph in the suit. He shot 17% better than the Cavs have shot in the NBA finals. 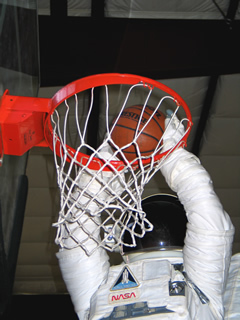 He was uncovered for the dunk, but it was still impressive considering the Earth’s gravity. Then it’s back to the weight room to work the legs. For the record, he was unable to snag an energy drink. Since the photo, he has placed himself on a voluntary “water only” beverage regimen, and he only had to make minor repairs on the drink machine. Overall, a nice workout. I think he’ll have no trouble in the upcoming Moonbuggy race. Although, he still needs a teammate. 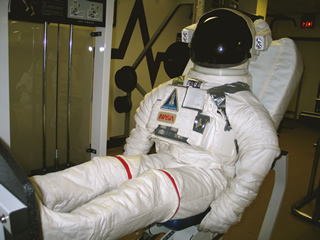 Author nasaedgePosted on June 14, 2007 March 19, 2013 Tags General19 Comments on Brandon begins workout! Flat Gorby at the University of Strathclyde. Photo: Flat Gorby near a simulated planetary landscape located in the Electrical Engineering Department. 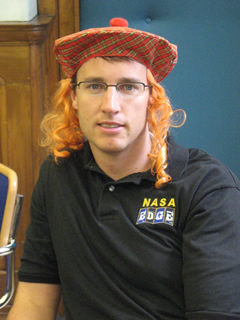 Well…Blair is acting host of NASA EDGE while I’m on a NASA education expedition in Glasgow, Scotland. A NASA team of scientists, engineers, and educators from Johnson Space Center, Langley Research Center, and other institutions are working with the Careers Scotland Space School. 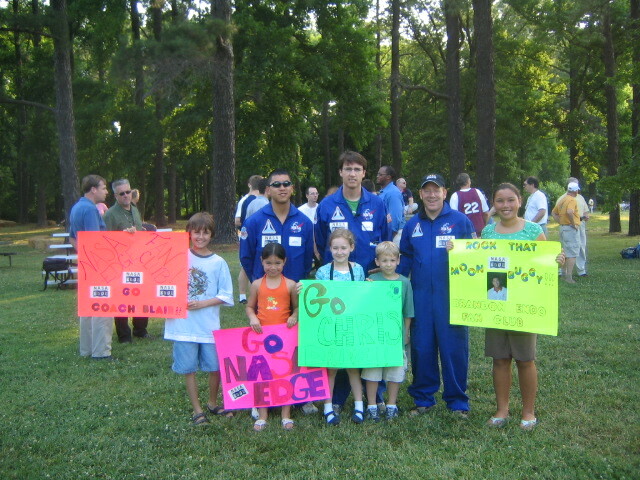 NASA EDGE is assisting Chuck Lloyd (JSC) and his 21st Century Explorer School program. There are also astronauts, engineers, and scientists traveling to a number of schools around the city to speak with students and teachers about NASA. So far it’s been a pretty good trip. I am writing this blog from the University of Strathclyde. 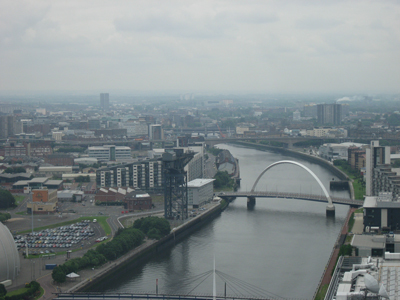 Below is a picture taken from the tower of the Glasgow Science Center. The cool looking bridge was completed last year. I hope Blair can hold up the fort and complete his homework at the same time. 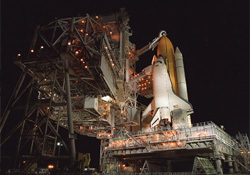 Atlantis is ready for launch today at 7:38 PM ET. 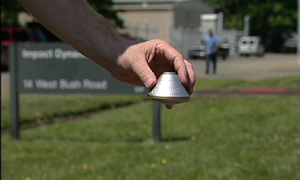 If you get a chance to see the launch on TV this evening, then the NASA EDGE team would like to hear your thoughts on the launch. First time shuttle launch viewer? Did you watch it live? We want to hear the details. Can you guess what I am doing in this picture? 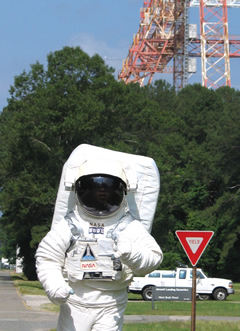 Submit your caption ideas to nasaedge@larc.nasa.gov. I’m not sure what we will do with them, but if they are funny, they might make their way to the bloggersphere. 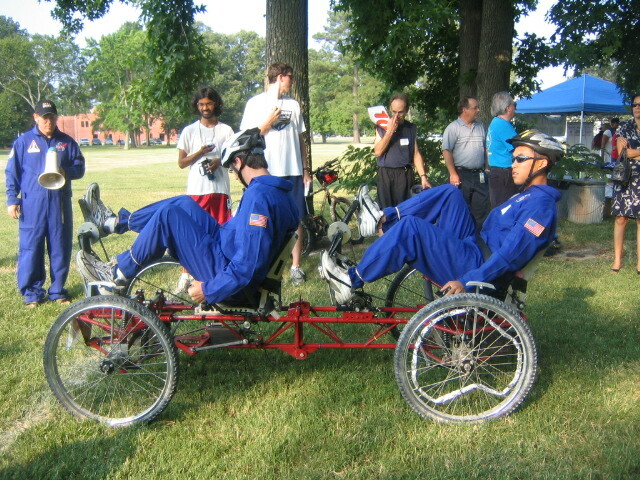 NEWS FLASH: NASA EDGE drafts Brandon to represent the show in an upocomming NASA “Moonbuggy” race. I’ve met Brandon. In fact, I am responsible for all of his physical and mental training for the upcoming event. I have no idea what our scouting guy is talking about. We had the 104th pick out of 104 total picks. We now have to find a way to turn 150 pounds of raw gene sequencing molecular cell biology major into a viable “Moonbuggy” driver in less than three weeks. Plus, as an agency we still have to get back to the Moon, go to Mars, and then beyond. Safe to say, we have a pretty busy summer. So, I’ll have to get back to my Orion research later. 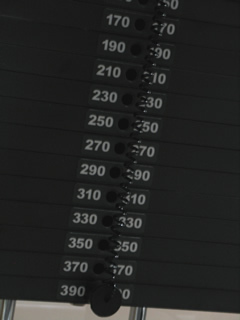 For now, I have to look into this “300 workout” I’ve heard so much about. I hope Brandon is up to the challenge. Please let me know if you have any suggestions. 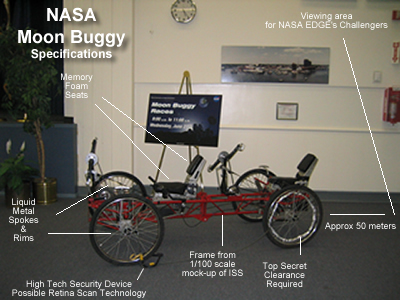 Author nasaedgePosted on June 6, 2007 March 19, 2013 Tags General5 Comments on NASA &apos;Moonbuggy&apos; Bonanza!